Ready for Vacation Bible School? Yes! 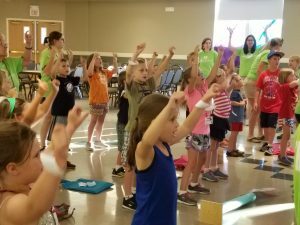 At Trinity we love Vacation Bible School and we are so excited for this summer! Here you will find all of the information that you need to register and volunteer! We can’t wait to see you this summer! Morning and Evening programs are identical – ​Evening snack is served “to-go” to save a bit of time! Registration Fee is $15/child. REGISTER NOW! Space is limited for our morning session. We recommend registering early! Registration will close on June 16th. 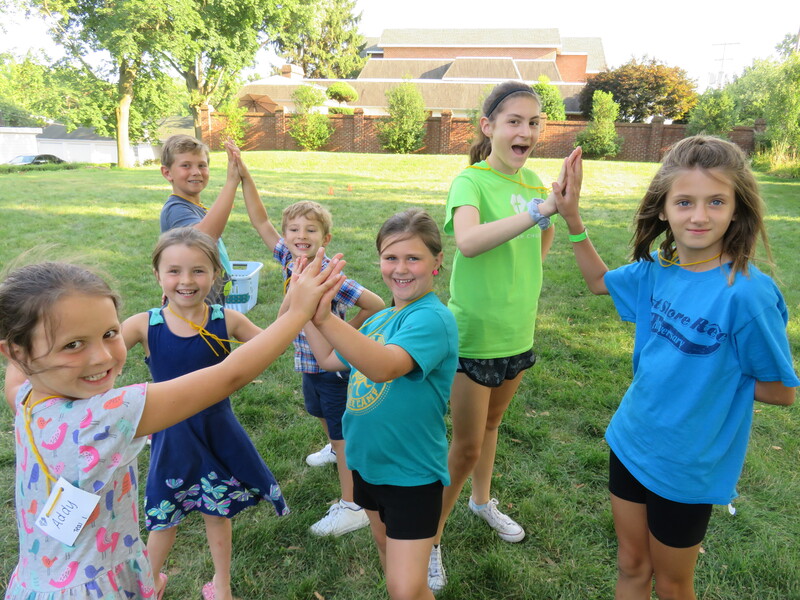 Vacation Bible School preparations are underway and we need YOU! The kids need YOU! We will be SHIPWRECKED and learn that JESUS RESCUES! We are looking for positive friendly people to help out in the following ways. • Station Leaders – Adults – you’ll be running the stations using the curriculum given by the VBS Director. You will meet with the director a few months prior to VBS to plan station and prepare materials. • Snack Coordinator – Adults – With the help of the kitchen crew, you will prepare snacks for 175+ children and adults daily. You will meet with the VBS director ahead of the program to plan. Register Now and become a part of our Crew! Can’t be there to volunteer? Don’t worry, you can still help out! 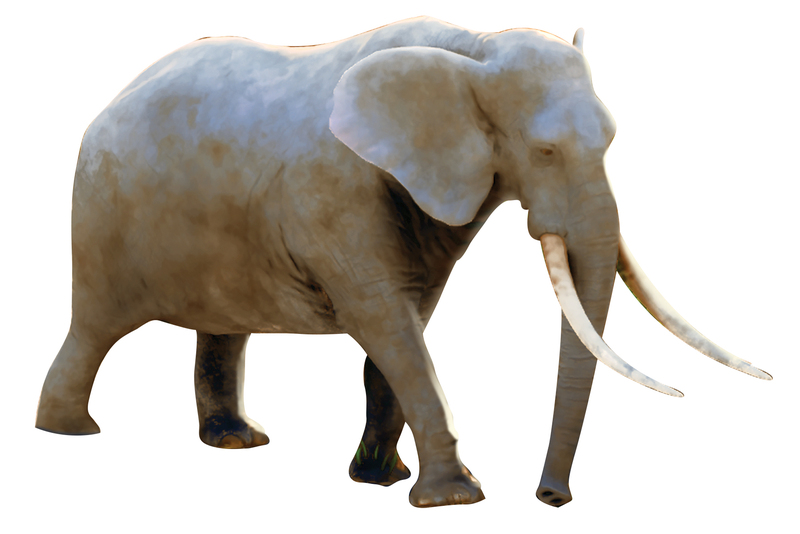 Watch for sign-ups to to donate supplies that are needed to make VBS a success! Thank you so much for your support throughout the years. We couldn’t do it without you! We have all heard donating blood saves lives, but did you ever think you would count on donated blood to save your life? The life of your spouse? 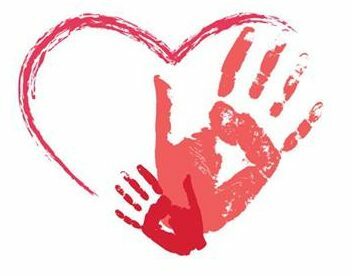 In September of 2018, the gift of donated blood saved our family from losing Serena after the birth of our son, Luke. During three weeks in the ICU, Serena received over 200 blood products that would have come from the donations of at least 50 different donors. Our family’s story of love, faith and hope is sewn together by the gift of donated blood. Please join us for a blood drive so we can save the lives of more moms, dads, sisters and brothers in our community. Keep an eye out for additional information. Check out all of the fun we had last summer! 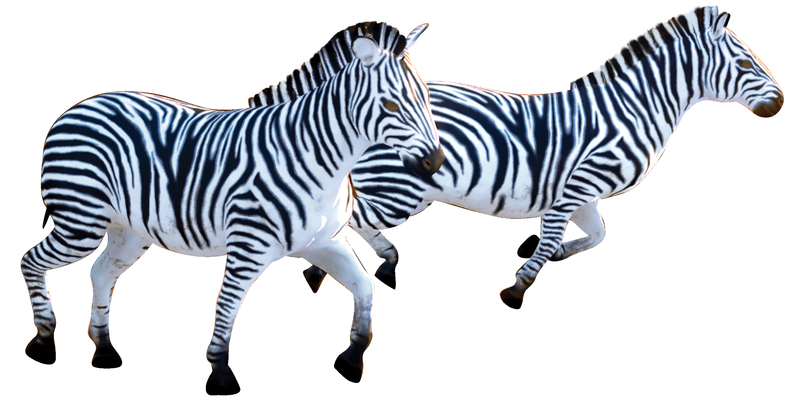 Not sure if your young child is ready for VBS? Fortunately, at Trinity we offer a lot of options for your children. Not all kids are suited for our large, loud, morning elementary programs! Some would prefer the calmer, quieter evening program. Also, some 3 year olds are ready to jump in with our other preschoolers and others just need a bit more time. Here is some additional information that may help you select the options that are right for your child. Remember, no two children are the same. We try our best to make all kids feel comfortable and welcomed. We want your children to come back year after year, so it is important to us that they have a good start. 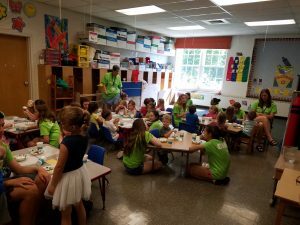 Our morning VBS program hosts about 150 children, half of whom are preschoolers. The program is vibrant, loud, exciting, and very busy. Preschoolers move in small groups of about 4 children per crew leader, with at least 2 “crews” travelling together at all times. There will be age appropriate expectations for sitting and listening, participating in group games and activities, snack time etc., and of course everyone must be potty trained. The children are busy from start to finish, moving to new activities approximately every 20 – 25 minutes during the 3 hour experience. Our evening program hosts far fewer children and even fewer preschoolers. While it is the same curriculum and same expectations, the night is only 2 1/2 hours (you take snack to go!) It is still the same fun and excitement as morning VBS, however it is not quite as loud or busy. If your child thrives in a calmer environment and can handle a bit later of a bedtime (evening program runs to 8:00 pm,) this many be the right choice for you! Morning preschoolers start their day in the chapel and then join the elementary kids in Fellowship Hall to finish out the day. 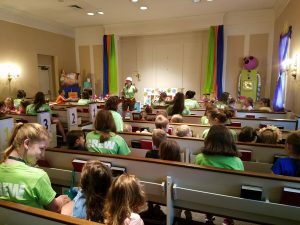 We tend to find that preschoolers who have already had some type of school experience seem to enjoy VBS more than children who are experiencing a group dynamic for the first time. 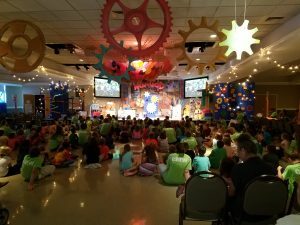 Another thing to keep in mind, most school-year preschool programs run about 2 1/2 hours 2-4 days a week, VBS is 3 hours for 5 days. It is a lot of structure for some of the kids, especially the younger threes. Also, it is not always the case, but sometimes younger kids (our barely 3 year olds) who have older siblings can handle the fun and highly stimulating environment better than 1st born kiddos who may be used to a quieter daily schedule. Morning preschoolers have snack in one of our preschool classrooms. Lastly, we do encourage parents to drop off kids and let our expert leaders take it from there. If you think your little one wouldn’t want to stay without you, we suggest you wait a year, or sign up as one of our hard working volunteers!